What amazing weather we are having this fall. I hope you are taking advantage of this weather with some extra outdoor activities to keep you fit and healthy. I was recently asked how I find the time to exercise on a regular basis with a life full of responsibilities. My answer was time management! However, we are all good at managing time and accomplishing tasks. Everyone seems to have a busy life with lots of pressures, responsibilities, and tasks to accomplish. Everyone is getting things done but at the expense of taking care of themselves and finding time to exercise. How things get done is how we prioritize them in our life. For me, exercise is an essential daily activity. I need it to be productive and feel good. Every day I prioritize it as something that needs to get done—something that is important to me. Acknowledging its importance forces me to schedule it into my day so that I do it. Time is allotted for me to act on it and other tasks are not going to interfere. Your day is full of things that need to get done. 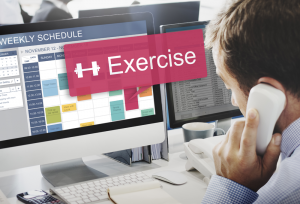 Putting exercise as an essential activity into your day allows you to schedule it in and act on it. My experience interacting with folks who struggle with exercising on a consistent and regular basis is that they tend to make exercise as an optional activity. They will only do it if they have time. Not something that they prioritize as essential, schedule it in and act on it. It is a good time to reflect on how you view exercise in your priority scale. Where does it rank? We can help with the scheduling and acting part. 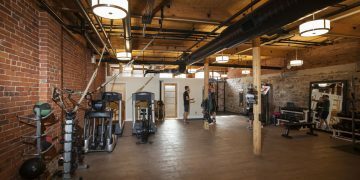 That is what we provide with personal training and group training sessions. You have to decide where it ranks in your life to get the results and benefits of exercising. Treat yourself well. Hope to see you at the gym or out on the roads, trails, or in the pool. 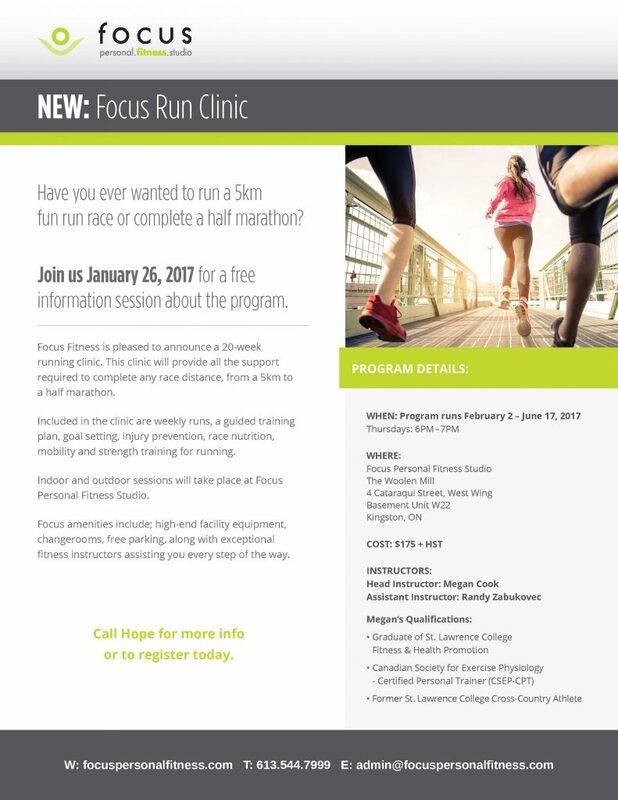 Drop in on January 26th to learn more about our new Focus Run Clinic, beginning in February. Call Hope at Focus today to learn more. On October 22nd AND November 26th, Focus will be offering two meditation workshops. Participants are encouraged to bring a cushion/pillow, blanket, and yoga mat if they have their own. we will need to know of any food restrictions/allergies. motion, meditation in stillness, and meditation in food experience. Nidra to experience the rejuvenation of 2-3 hours of sleep in just 30 minutes! Please call Hope at (613) 544-7999 to reserve your spot today!